Firefox Quantum was released yesterday and, being a Firefox fan, I had to examine the latest offerings with this legendary browser. I remember using Mosaic when it first came out in 1993, then Netscape, and then Firefox. I loved Firefox when it came out. However, after hearing the latest news about Firebug not supported and Selenium not working from Firefox 55 on, I was beginning to question the direction Mozilla would be taking with their new Quantum browser. So I wanted to see what Firefox Quantum had to offer. The installation was as expected. Mozilla has always delivered Firefox to the masses through their delivery system using a small executable. The executable would connect to their servers and install the browser with no issues. I've never had a problem with their delivery process. Once the installation finished, the familiar browser appeared with some welcome additions. Once I started Firefox, it appeared surprisingly fast and greeted me with a tour of everything included in this latest browser version. 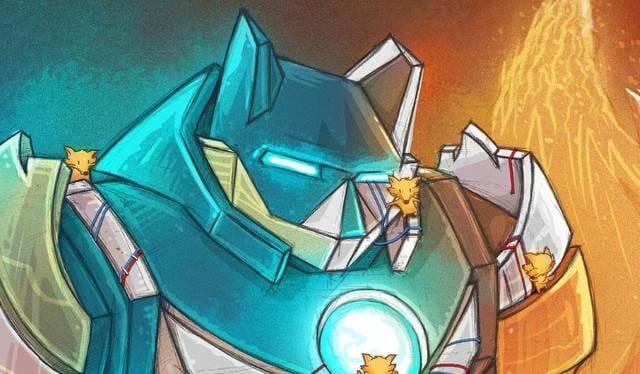 These features are what a majority of Firefox Quantum users will experience, so let's touch on these bullet points along with other hidden gems. Before we dig into the major bullet points, I want to point out what happened regarding Firefox Quantum extensions. Of course, I was worried about a new browser version carrying over existing extensions without any issues. So, yes, this was one of my concerns as well. I have a minimal number of extensions installed since I use multiple browsers, but my existing extensions (Dashlane and XMarks) were transferred successfully. There wasn't a problem at all. I'm sure other extensions may or may not come over successfully, but I didn't experience any issues with my current set of extensions. The good news is Firefox Quantum has an area for legacy extensions that don't work. Of course, these extensions are disabled until newer versions are released. Back to our bullet points. When it was released yesterday morning, I decided to ditch all browsers and set Firefox Quantum as my default. I transferred my default tabs over to Firefox and examined Task Manager. What I found interesting was I had 11 tabs opened and only 7 processes were running, but it was still a smaller footprint than some of the other browsers. As you add more tabs, memory will increase, but that is the nature of the beast. What I find amazing is the way it manages the memory for those tabs in Firefox. 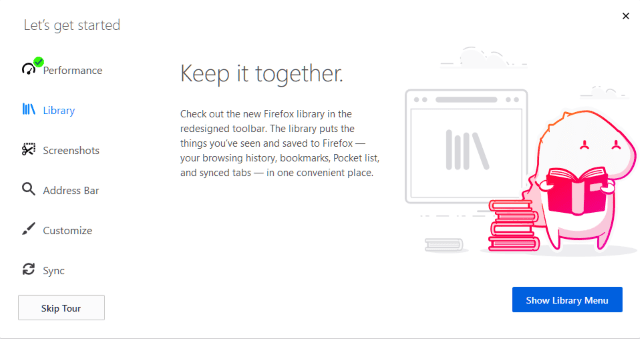 It seems the Library is where all of the goodies are located in Firefox Quantum: your bookmark collection, history, downloads, synced tabs, screenshots, and the latest addition to Firefox: Pocket. 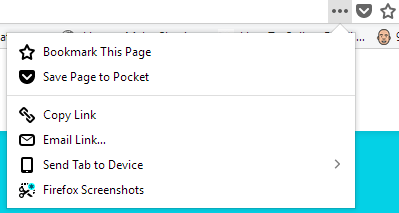 At the end of February of this year, Mozilla acquired Pocket. For those wondering how they would integrate it into Firefox, now you know. They placed Pocket in the library for managing all of your Pocket content and added a Pocket icon to the address bar for recommending the current webpage. Since we're on the Library, I mentioned a new screenshots area. This screenshots area is a separate page and contains your collection of screenshots. To view your already existing screenshots, select Library and then Screenshots. To capture a screenshot, go to the ellipsis in the address bar and select Firefox Screenshots. This takes you through a carousel tutorial on how to use screenshots. Once done, this turns into a "Take a screenshot" option. Once you take a screenshot of a web page, you have a menu whether you can Save Full Page, Save Visible, or clicking on My Shots takes you to your screenshots. For users of the Dev Tools (or even Firebug), the screenshot tool uses a familiar selection of DOM elements to capture an element's contents. I really like how you can pick and choose your elements to screenshot. I've mentioned the address bar, but have you noticed when you type, you can select a search engine to use as a default? Click on the gear in the far right to select your search engine settings. For those users of previous Firefox versions, the customize is very familiar and gives users the ability to personalize Firefox Quantum with different options to use themes or extensions. Let's set up a scenario. You find a great blog post and want to send it over to your phone. Once you register another device, you can send that tab over to your other registered device. The ellipsis in the address bar contains a menu item called "Send Tab To Device." This allows you to send a web page to your registered device. While I did mention Firefox Quantum doesn't support Firebug anymore, it's been replaced by Firefox's Dev Tools. The Dev Tools are what I expected in a browser-based IDE when I pressed F12. Tools like a DOM inspector, console for command-line operations, a debugger for scripts, and other tabs to assist with examining a web page are becoming standard and it's great to see Firefox taking a leap forward by integrating a more advanced toolset to assist web developers and designers. Out of all of the features in this version, performance is, by far, the star of this release. I only used Firefox Quantum for less than a day and already it proved itself as a contender to other browsers. With the number of monumental features included in this release, I feel this version of Firefox returns for a new battle of the browsers. I've always liked Firefox for it's stability and extensibility, but now I love it for it's stability, extensibility, and performance. Have you found any neat tricks with Quantum yet? Do you think it performs better than other browsers? Post your comments below and let's discuss.